Every year, leading clinicians and researchers from the field of lactation around the world present their invaluable education through our unique online learning system. Our Program Director, Fleur Bickford BSc, RN, IBCLC and Program Chair Fiona Lang-Sharpe IBCLC, NAMCW, along with our Professional Advisory Committee, review abstracts and invite Speakers to present on topics that are the most relevant to breastfeeding support providers. We're proud to offer you a full spectrum of education, including current research, clinical skills, case studies, ethics, business development, cultural & geographical experiences & industry specific talks. We are pleased to present the line-up of main speakers below for our GOLD Lactation Online Conference 2019! These speakers have been selected by our program committee to ensure we are bringing you the most up to date and relevant content that we can. Click on the topics below to review further details on each presentation. This year, there will be 27 Speakers offering a total of 27.5 hours of education! This presentation will give an overview of the reasons that can cause painful breastfeeding and how we can intervene either via breastfeeding management or medically. Important aspects concerning breastfeeding management and counselling and possible therapeutic interventions will be discussed as well as the impact of painful breastfeeding on the breastfeeding dyad and the whole family. Title: What Do Normal Infant Feeding Patterns Really Look Like? After working in the UK and France, lecturing and then in film and TV production, Annabelle became a breastfeeding support volunteer in France 10 years ago, after the birth of her first child. She then worked in lactation support in the UK NHS in London, whilst also volunteering for the National Childbirth Trust (NCT). Since 2016, she was the Infant Feeding Coordinator at Suffolk County Council Health and Children’s Centres, and had a small private practice. In her county council role, Annabelle took the Health and Children’s Centre staff through Stage 1 of UNICEF Baby Friendly Accreditation, and left the department well prepared for Stage 2. Whilst there, she oversaw an increase in breastfeeding rates, and contributed to Public Health initiatives to promote breastfeeding, including help to improve breastfeeding knowledge amongst doctors. Annabelle qualified as an IBCLC, lactation consultant in 2017. In October 2018, Annabelle took up her current post as lactation consultant for the 48th medical group at RAF/USAF Lakenheath. Rummaging in the tool bag: how we can borrow from other disciplines, and enhance our care. As infant feeding specialists, we should be open to discovering new tools that renew our practice. Historically, we’ve incorporated elements from elsewhere, e.g. Active Listening (Rogers and Farson, 1957), borrowed from psychology and conflict resolution. Changes to the UK support landscape, mean that parents may not access traditional breastfeeding peer support, and instead see health staff. A diversity of background, can mean staff bring additional skills that then complement those acquired under the UNICEF Baby Friendly standard. For specialist professionals, such as IBCLCs, some of these tools can also complement practice, and can be used to great effect. This presentation proposes to look at some elements we can borrow that enhance our clinical practice. We will review aspects of Active Listening, and then move on to examine elements in the Signs of Safety model and Solihull Approach. These are just two examples of widely practiced approaches in the UK, and there are many other fields to be borrowed from. Weaning is a very controversial topic when talking about breastfeeding. Nevertheless, a lactation consultant should be the professional addressed to guarantee mothers a good experience when finishing this process. When the child is 18 months or older, it is possible to develop a plan of gradual weaning that can adjust to their routine, and please both mother and child - respecting everyone's time and rhythm. When a mother is ready to move on and wishing to re-encounter herself, if we have a baby that is ready to communicate in other ways besides the breast, it is important to develop skills and a plan of action to give breastfeeding the beautiful end it deserves. Briana is a 4th year medical student at Rocky Vista University College of Osteopathic Medicine interested in pursuing a residency in psychiatry. She was a La Leche League leader for 10 years and has been an IBCLC since 2014. Briana has three children and a menagerie of pets that keep her fully engaged in life. 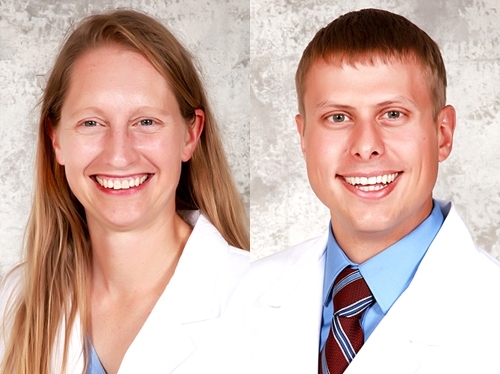 Nick is a 4th year medical student at Rocky Vista University College of Osteopathic Medicine interested in pursuing a residency in child and adolescent psychiatry. He has a background in mechanical and systems engineering but found his calling in medicine after volunteering for Health4Haiti in 2011. He lives in Colorado with his wife and they enjoy the outdoors. Due to the global shortage of mental health professionals, many primary care providers have become the first-line responders to a wide variety of psychiatric concerns. While lactation consultants and breastfeeding support counselors are not called upon to diagnose and treat mental health disorders, they nonetheless often become enmeshed in the topic due to the holistic nature of breastfeeding management. An understanding of the major psychiatric topics that can arise during lactation consultation is therefore a valuable asset. In this presentation, we will describe mental health benefits and drawbacks of breastfeeding, and explore the controversy surrounding the “breast is best” campaign as it regards maternal mental health. We will also briefly explore the pharmacological and non-pharmacological options in treatment of major psychiatric disorders (e.g. generalized anxiety, major depressive disorder, bipolar mood disorder, schizophrenia) as they relate to lactation. Finally, we will review the scientific literature related to potential long-term mental health effects of breastfeeding on babies. 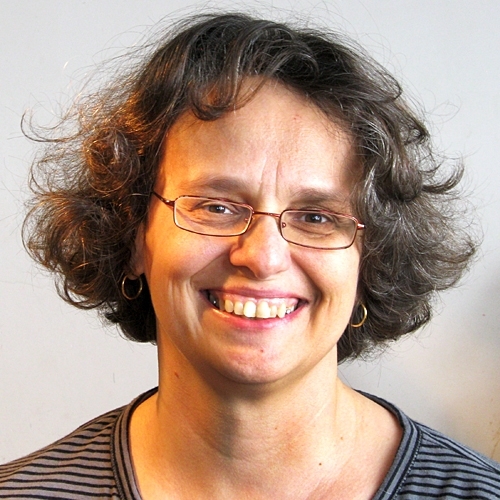 Carole Hervé is a private IBCLC (since 2011). She helps breastfeeding mothers at home or location of their choice, mostly in Paris and in the nearest neighborhood. 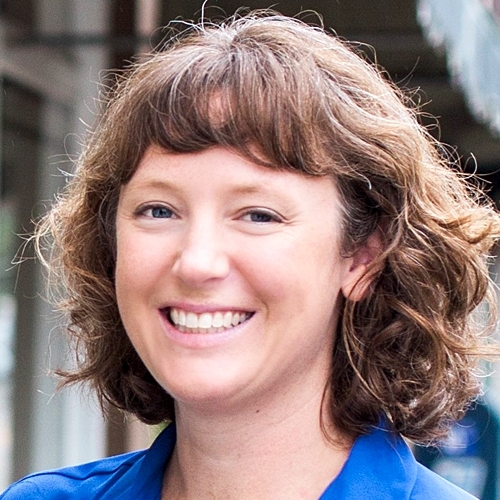 Prior to opening her private practice, she has been a La Leche Leader since 2008. 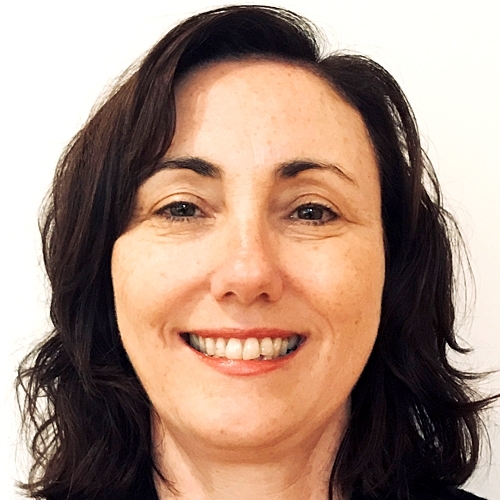 Carole is passionate about information-gathering, education, articles writing, communications and training to provide lactation consulting and sensitive support to the families she works with. She has been trained to support families with Sensory Food Aversion issues by Catherine Senez, a speech therapist in 2013 and is also BNCLC (Biological Nurturing Certified Lactation Consultant®). 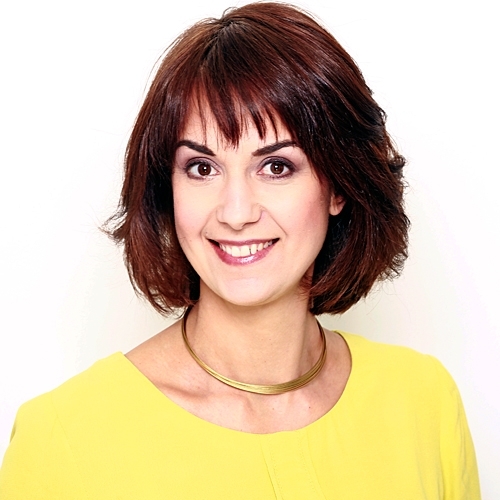 She has been a speaker at the GOLD Lactation Online Conference in 2012, and in 2013 she translated 20 presentations from the GOLD Lactation Online Conference into French. Carole has been strongly involved in the coordination of the International Breastfeeding Day (Journée Internationale de l’Allaitement), an event organized by La Leche League France. Carole is the mother of three children born in 2001, 2003 and 2006. Title: Could Breastfeeding Help Prevent and Overcome Sensory Food Aversion? Children with Sensory Food Aversions consistently refuse to eat certain foods related to the taste, texture, temperature, smell and/or appearance. Feedings or mealtimes are therefore a displeasure for everyone. Oral disorders are eating disorders caused by hypersensitivity. Food aversions are common and believed to occur along a spectrum of severity, with some children reluctant to try new foods, and refusing whole food groups (vegetables, fruits, meats). Indeed, after an aversive experience, some children tend to generalize and refuse foods that look and/or smell like the aversive food (e.g., aversion to broccoli may be generalized to all green foods). Reactions to the aversive foods can range from grimacing to gagging, throwing up, or spitting out the food. Some babies cannot even accept to be touched near their face, or mouth, they may not accept to be held in a wrap. Some children can't stand to have dirty hands, to walk in the sand, to be touched. While this can be a challenge when a mother is trying to start solid food, this hypersensitivity may also even start with breastfeeding. Babies need proper nutrition to grow and thrive, and difficulties with feeding in infancy can be a worrisome and become a dangerous condition. There are many different reasons why a baby may struggle with feeding. All merit evaluation and treatment. This conference aims at exploring solutions to support families who deal with oral aversion. Cynthia Good, MS Clinical Psychology, is an International Board Certified Lactation Consultant, Clinical Counselor, author, consultant, and internationally recognized speaker, and has served as an expert witness. She is the Director of LifeCircle Counseling and Consulting, LLC where she provides lactation-compatible mental health care focused on the perinatal time period. She is also a Certified Diversity Executive, is Certified in Acute Traumatic Stress Management and is an Adjunct Professor in the Department of Midwifery at Bastyr University where she teaches counseling skills. 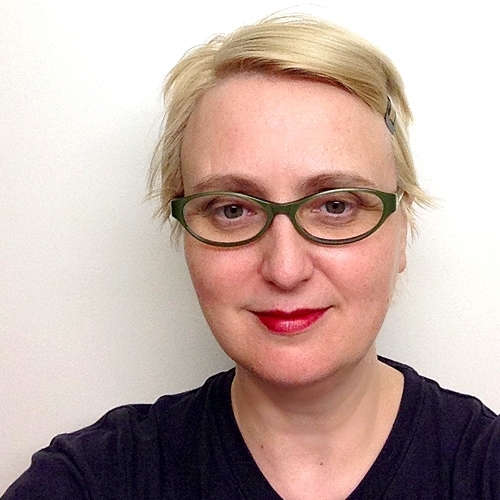 Cynthia has a strong interest in the emerging field of lactational psychology. She brings the evidence and insights of psychology and lactation consulting to her presentations, providing information and teaching skills that are essential to understanding and effectively responding to the complex psychosocial realities of families living in diverse contexts. The focus of her presentations includes equity, diversity, and inclusion; infant feeding rhetoric; perinatal mental health; perinatal loss, grief, and trauma; counseling techniques; ethics; serving as an expert witness in lactation-related court cases; cultural competence and humility; vitamin D; and more. In many countries, expert witnesses serve the role of educating triers of fact on issues that are typically outside the experience and knowledge of lay people or professionals who do not have the needed expertise. IBCLCs can serve as expert witnesses in legal proceedings related to situations that involve lactation (e.g., divorce, custody, and visitation; protecting lactation in the work place). Serving well in this role requires a clear understanding of the strengths and constraints inherent in the IBCLC’s scope of practice, using strategies that can make an expert witness more effective, and knowing how to find relevant resources. This session provides IBCLCs with introductory information that will 1) help them make a more informed decision about becoming an expert witness and 2) allow them to perform more effectively and confidently in that role. Eithne Murray developed a passion for breastfeeding as a result of her own experience as a mother – a passion she did not know she had. She initially trained as a breastfeeding counsellor with NCT in the UK and, upon moving back to Ireland, trained as a breastfeeding counsellor with Cuidiú-the Irish Childbirth Trust, later becoming a tutor. She qualified as an IBCLC in 2009, and worked privately for a while. She now works predominantly in education. This presentation was based on the research undertaken for a dissertation on transition to motherhood as part of her studies for a Masters degree. Aims: The aims of this study were to explore the role of education and support in the development of self-efficacy in first-time mothers during the transition to motherhood. Methodology: Using a qualitative approach, first time mothers, whose babies were less than 15 months old, were recruited from among women who had attended various models of antenatal classes They took part in a semi-structured interview on their experiences and personal constructs relating to the perceived quality of support they received were then elicited. Findings: Becoming a mother was a process that held great meaning for all the mothers. For the women interviewed, breastfeeding was both a practice and a process which held meaning for these women. The impact of the various forms of antenatal classes in developing self-efficacy for all parental tasks is explored. The elicitation of personal constructs provides a novel format for women to evaluate the quality of the support they received – a topic which has been seldom researched. 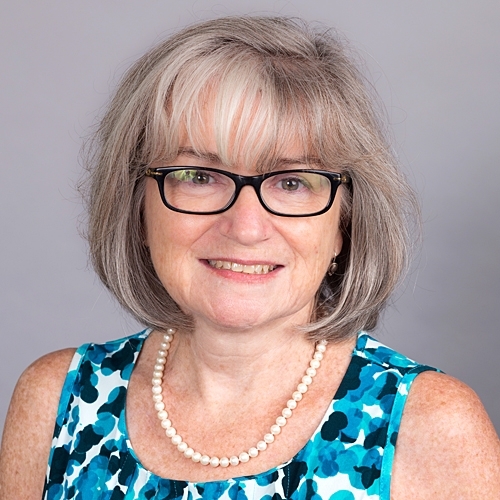 Dr Elaine Burns is a Registered Midwife and Senior Lecturer at Western Sydney University and Chair of the NSW Branch of the Australian College of Midwives. 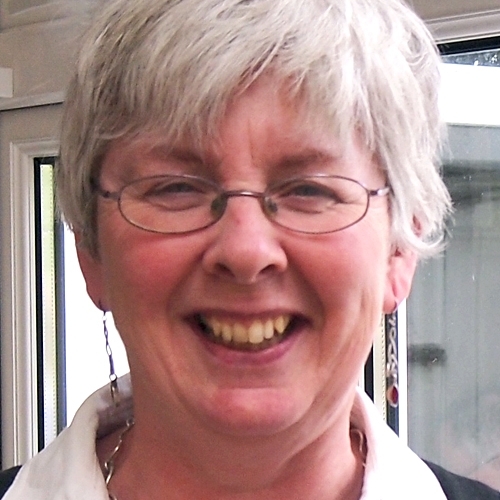 Elaine has worked in the area of midwifery and women’s health for more than two decades and has an established track record as clinician, educator and researcher. 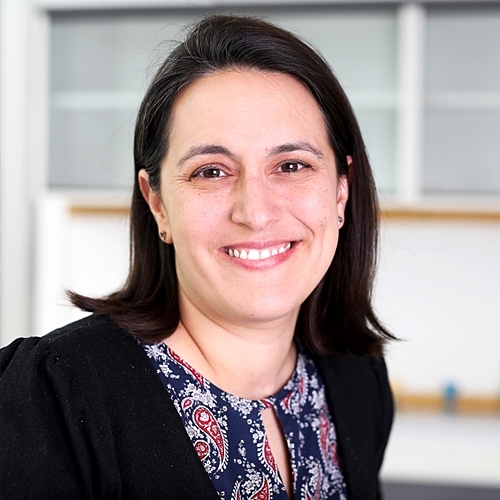 Her current research interests focus around midwifery practice during the early postnatal period and peer and professional breastfeeding communication. Elaine is passionate about improving support for women who are breastfeeding and the early transition to mothering. The language and practices of health professionals can impact upon how a woman feels about breastfeeding and her breastfeeding baby. This presentation will report on the observed, and audio recorded, language used by health professionals during the early establishment phase of breastfeeding. Much of the language positioned breastfeeding as the mechanical production of nutritious fluid rather than a relational interaction between mother and baby. At times the infant was positioned as an antagonistic being with the capacity to ‘think and decide’ whether to cooperate with breastfeeding. An alternative discourse emerged from a more relationship-focused approach to breastfeeding support. This presentation will report on projects which have included the observation of interactions between breastfeeding women and midwives, and/or lactation consultants and/or trained breastfeeding peer supporters. Exemplars of best practice for health professionals, and peer supporters, who provide breastfeeding support during the early establishment of breastfeeding, will be provided. …felt as if a new parent wasn't listening or even trying to sabotage your good efforts? …suspected something is off or wrong because you can't get through to the person in front of you? If so, this session is for you! While the postpartum period is a vulnerable time for all new parents, parents with a trauma history and / or living in toxic stress can be especially challenging. The good news is that breastfeeding professionals and peer support advocates are in an optimal position to be effective and confident with these parents. Participants will learn why and how something as common as a trauma history can disrupt their good work.We will discuss trust-building practices, common mistakes to avoid and how to be effective with even the most "high needs" people. This is the practical, skills-building session that you're looking for. 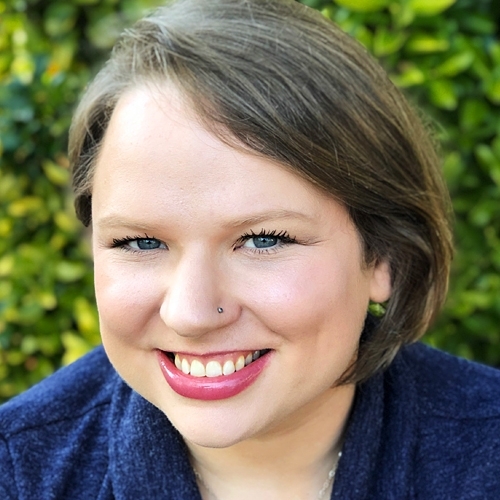 Fiona Jardine is a PhD candidate at the University of Maryland’s iSchool where she is conducting pioneering research into the experiences of those who exclusively pump human milk, specifically focusing on the information they need, how they find it, and what they do with it. In addition, she is able to provide insights into many different aspects of exclusive pumping thanks to the breadth of the data she collected; follow along with her findings here: bit.ly/EPresearch. Fiona is also an Advanced Lactation Consultant and a postpartum doula so that she can provide the support that she believes is so desperately needed, especially in the fourth trimester. Find out more about Fiona, and the Universal Breastfeeding Symbol she designed, on her website: fionamjardine.com. Title: Breastfeeding Without Nursing: Why Do Some Breastfeeders Exclusively Pump and What Can We Do to Support Them? Exclusively pumping (EPing) provides a solution to some breastfeeding problems, while still providing most of the benefits of human milk. In addition, the prevalence of EPing is on the rise. However, there is a lack of data on EPing, especially concerning the reasons for EPing and the information and support needs of EPers. My study collected qualitative and quantitative data on these (and many other) topics from over 2,000 EPers; the findings indicate that EPers often get no or bad advice from their health/lactation care providers. This poor knowledge of and negative opinions about EPing often contribute to EPers feeling frustrated and unsupported. In addition, these undesirable experiences threaten both the initiation and duration of breastfeeding-via-EPing. This presentation focuses on the reasons why EPers breastfeed without nursing, their feelings about EPing, their information needs, and what lactation care providers can do to better support EPers. Dr. Gina Weissman began her career as a dentist, receiving her training at The Hebrew University Hadassah Medical School, Jerusalem. She is also a RN nurse, and has been working as an IBCLC, certified Lactation Consultant, since 1999. She teaches courses in human lactation for both medical professionals and future lactation consultants, mentoring them in preparation for the international exam of the IBCLC. Dr. Weissman councils mothers and releases tongue ties at her private breastfeeding clinic, HalavM. 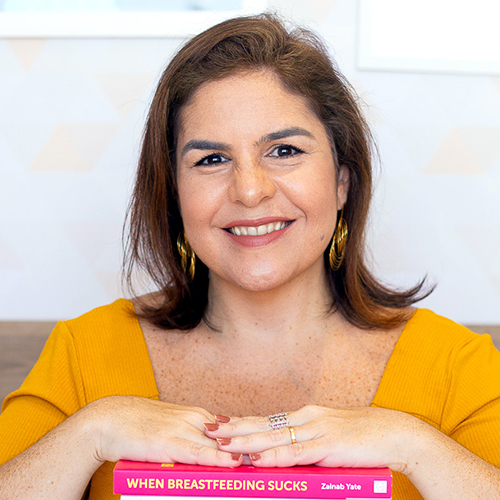 She is an expert in teaching mothers Instinctive Breastfeeding and the author of Mother's Milk, a Video Guide to Breastfeeding (Hebrew/Arabic/English). 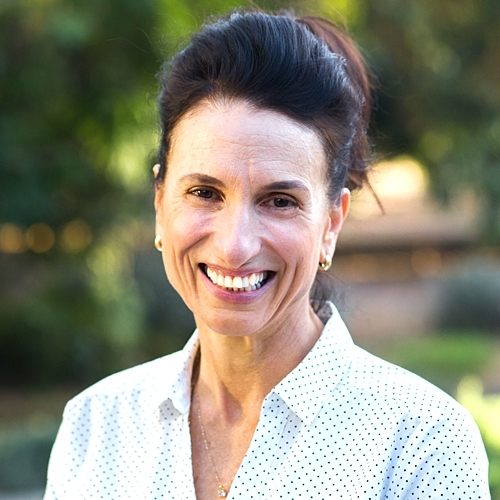 Dr. Weissman is an international lecturer and the president of the Israeli Association of Certified Lactation Consultants. She lives in Israel with her husband Amir and four sons. 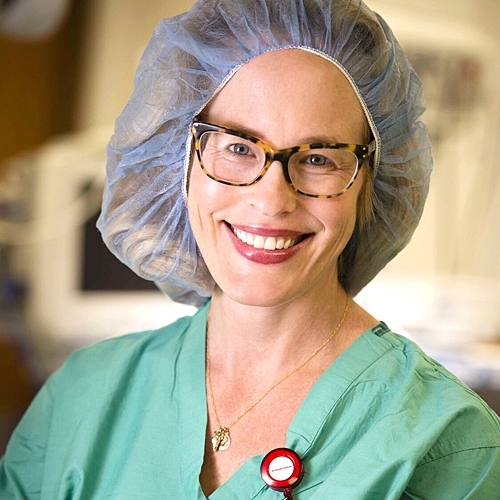 Dr. Hawes provides clinical services in the Neonatal Intensive Care Unit and at the Perinatal and Postpartum Clinic at the Center for Children and Families at Women & Infants Hospital, where she treats women and their partners experiencing perinatal mood and anxiety issues. Treatment includes individual and family psychotherapy. She is an assistant professor (adjunct) in the Department of Pediatrics at The Warren Alpert Medical School of Brown University. She trained in adult psychiatry and mental health at the University of Rhode Island and is board certified in adult psychiatric-mental health advanced practice nursing. Her research, clinical work, and lectures focus on stress and trauma related to the premature birth experience. In addition she studies the relationship between nursing practice and parent and infant outcomes; nurse-patient interaction; the healthcare work environment and provider and patient outcomes; and the epigenetics of stress. (https://vivo.brown.edu/display/khawes). Classic animal studies have shown that maternal care of rat mothers e.g. licking and grooming and arched back nursing, impacts offspring outcomes such as behavior, development, and stress regulation. These outcomes persist over subsequent generations. Epigenetics, the study of how environmental influences affect gene expression, mediates these effects. In this session we will discuss and explore how similar epigenetic mechanisms in humans possibly relate to the protective effects of breastfeeding and maternal tactile stimulation on infant stress reactivity. Kathleen Kendall-Tackett is a health psychologist and International Board Certified Lactation Consultant, and the Owner and Editor-in-Chief of Praeclarus Press, a small press specializing in women's health. Dr. Kendall-Tackett is Editor-in-Chief of two peer-reviewed journals: Clinical Lactation and Psychological Trauma. She is Fellow of the American Psychological Association in Health and Trauma Psychology and Past President of the APA Division of Trauma Psychology. 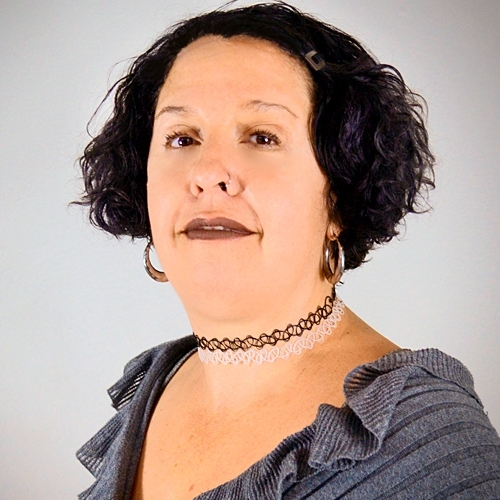 Dr. Kendall-Tackett specializes in women's-health research including breastfeeding, depression, trauma, and health psychology, and has won many awards for her work including the 2017 President’s Award for Outstanding Service to the Field of Trauma Psychology from the American Psychological Association’s Division of Trauma Psychology. Dr. Kendall-Tackett has authored more than 460 articles or chapters and is author or editor of 38 books. Title: Lessons to Learn from Fed Is Best: How Can We Improve Our Care? Fed is Best is a foundation with a major social media presence who seek to warn parents and practitioners about the dangers of insufficient exclusive breastfeeding. Through their social media campaigns that have galvanized a backlash against exclusive breastfeeding, lactation care providers, and the Baby-Friendly Hospital Initiative. Although lactation specialists disagree with much of their content, they have raised awareness about mothers who do fall through the cracks of our care system and may suffer as a result. The steep drop-off in rates of exclusive breastfeeding is an indication of this. This presentation will examine three provider-level barriers that negatively impact breastfeeding and what we can do to improve care so that mothers will reach their breastfeeding goals. Depression research contains many conclusions that appear to contradict each other regarding the role of breastfeeding. For example, breastfeeding lowers the risk of depression, but depression increases the risk that breastfeeding will fail. Moreover, breastfeeding problems increase women's risk of depression. These findings are not as contradictory as they may seem. By understanding the underlying physiological mechanism, we can understand these seemingly paradoxical findings. This presentation will describe the link between the stress and oxytocin systems, and how they relate to both maternal mental health and breastfeeding. When the stress system is upregulated, depression and breastfeeding difficulties follow. Conversely, when oxytocin is upregulated, maternal mental health and breastfeeding rates improve. This talk also includes the role of birth interventions and mother-infant sleep, as well as practical strategies that increase oxytocin. The purpose of this presentation is to first review basic components of the breast physical exam, and then transition into the management of challenging maternal complications of lactation. We also briefly will review breast imaging that may be required for diagnostic purposes in this setting. Lourdes Santaballa is a community activist and organizer, with a background in domestic violence, affordable housing, and economic equity advocacy. A La Leche League leader from 2009-2017 and IBCLC since 2011, she was the founder of the lactation program at sePARE, providing coordinated services to low income families, leading it to receive the ILCA Care Award and received the Wilson-Clay Hoover Award for Research. Lourdes received the notorious Drs. Ruth Lawrence and Audrey Naylor Legacy Scholarship in 2016 by the United States Breastfeeding Committee, the Miriam H. Labbok Award for Excellence at the Breastfeeding and Feminism conference in 2018 and is currently completing her master’s degree in clinical nutrition. In October 2017, following Hurricanes Irma and Maria, Lourdes founded Alimentación Segura Infantil or ASI, an Infant and Young Child feeding program focused on increasing breastfeeding, leadership and training in marginalized communities in Puerto Rico. In times of civil instability and changing global climate, we risk natural disasters, infrastructure failure, terrorist situation, police brutality, mass migration, chemical accident, war or other type of emergencies. Infants and young children under the age of 2 are the most vulnerable due to their dependence on adults for survival and their delicate physiology. We know that lactation in emergencies saves lives, yet the unrest that occurs in the days immediately after the disaster may contribute to premature weaning. At the same time, many babies are not breast or chestfed at all or only partially. This session will explore the methods to preserve breastfeeding, decrease the use of formula and other human milk substitutes, promote relactation, and teach appropriate complementary feeding in a disaster appropriate, low tech and resource limited environment. We will also discuss the colonial and patriarchal of humanitarian relief and how to make equity our focal point. 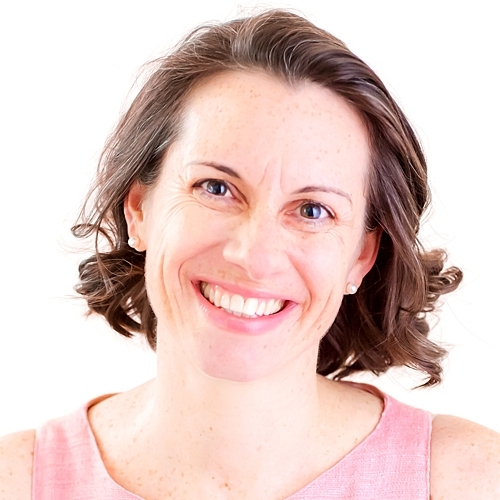 Lyndsey is an experienced London-trained Paediatric Nurse, Health Visitor, International Board Certified Lactation Consultant, Holistic Sleep Coach and Birth Trauma Recovery Practitioner, with almost 20 years experience working with infants, children and families in hospitals, clinics, and the community. Lyndsey runs a busy International private practice offering one-to-one specialist support to families. She especially enjoys supporting families by bringing together infant feeding support, mental health and sleep optimization. Lyndsey is the author of Holistic Sleep Coaching and the co-founder of the Holistic Sleep Coaching Program – an international online program aiming to educate health, lactation, childcare and sleep professionals about the importance of evidence-based, gentle care of babies and children. Many health, lactation, and childcare professionals find themselves in a position where the families they work with require support with sleep. Without readily accessible, evidence-based, gentle and effective sleep support, some of these families turn to sleep training which often leaves breastfeeding abandoned in the quest for more sleep. Understanding key sleep biology principles, and being able to apply these to both simple and complex sleep scenarios can empower parents with the tools they need to maintain breastfeeding while also getting more sleep. In this presentation, we will explore some key concepts, and apply them to some practical real-life examples of both adults and infant-related sleep problems. Micaela Notarangelo, PhD, IBCLC, RLC, obtained her IBCLC certification in 2010. She has a private lactation consultant practice in Lerici, Italy and takes a particular interest in everything that concerns breastfeeding science and medicine. From 1992 to 2001, Micaela lived in Japan, where in 1998 she earned a PhD in Economics at Hokkaido University, Sapporo. She also worked as assistant professor at Hokkaido University and Utrecht University. After returning to Italy, she became a La Leche League Leader in 2005 and was the Area Professional Liaison of LLL Italy from 2010 to 2013. In 2017, together with Chiara Toti, IBCLC, Micaela has developed a new two-day course for health care providers about breastfeeding support for babies with lip and/or palate cleft. The course has been held, with the financial support of Aismel, a parents' association, in several major Italian hospitals. 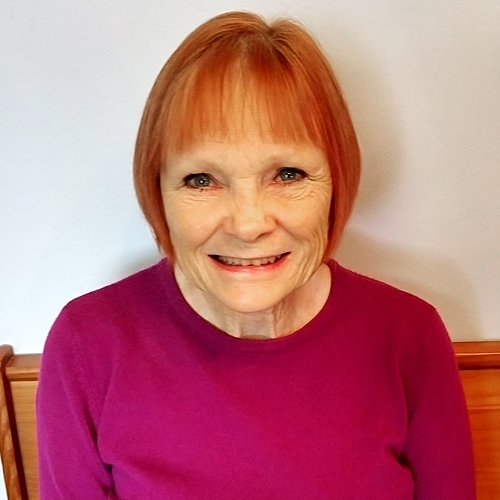 Nancy has been providing information and assistance to childbearing families for over 40 years. Her second career is that of a Marriage and Family Therapist. Her passion is in combining perinatal information with Psychology in order to create a more holistic view of parents and babies. She is an adjunct faculty member of Brandman University’s psychology department with an emphasis in Human Development. She is an author and national and international speaker. Current information on working with teen mothers includes issues such as body art, nutrition, grandmothers, and adolescent brain development. Strategies for connecting with and teaching these mothers will be addressed. Evolution has created human milk as a way to protect the baby postnatally, patterning the immune system and microbiome, and providing diverse developmental cues for each organ system to develop normally. Milk also provides nutrition. When screened donated human milk (DHM) is available, mothers facing the most stressful circumstances of having an ill premature baby tend to have high chances of establishing breastfeeding. If donor milk is used appropriately as a bridge to lactation, they are less likely to perceive that their bodies have failed. The work of the Hearts Milk Bank over 18 months have laid the foundation for a UK-centred drive to upscale milk bank capacity, facilitate research to determine the optimal use of donor milk, and support a shift in perception about the role of human milk, underpinned by the latest science. After studying biology at Meredith College in North Carolina, Nicola Singletary, PhD, MAT, IBCLC spent the early part of her career sharing her love of science with middle school students. It was not until after the birth of her first child in 2007 and the challenges she faced breastfeeding that she became interested in pursuing a career in breastfeeding support. She enrolled at North Carolina State University to study human nutrition and completed the Mary Rose Tully Training Initiative through the Carolina Global Breastfeeding Institute at UNC Chapel Hill in 2012. In the fall of 2013, she opened Harmony Lactation, LLC with the goal of helping mothers meet their breastfeeding goals. She recently completed her PhD in Nutrition and is a postdoctoral researcher at NCSU; her research focuses on breastfeeding education. She is also co-owner of Next Level Lactation, an educational and consulting company for lactation professionals. Some breastfeeding parents find that their stored milk tastes sour or rancid, and sometimes this milk is refused by their baby. These flavors and odors are often described as metallic, fishy, rancid, sweaty or soapy. But what exactly causes these ‘off’ flavors and what can be done about milk that is refused? Is the solution always to scald milk? Milk with high lipase action leads to milk with increased levels of free fatty acids during storage that can produce rancid and sweaty flavors. Enzymes such as lipase can be inactivated by heating prior to milk storage. Milk with high levels of polyunsaturated fatty acids is susceptible to fat oxidation during storage leading to fishy and metallic flavors. Storage recommendations to reduce oxidation of fatty acids in milk include using short storage times, thawing at cold temperatures, and avoiding light exposure during storage. Case studies of both oxidized milk and high lipase action will be presented along with possible solutions. 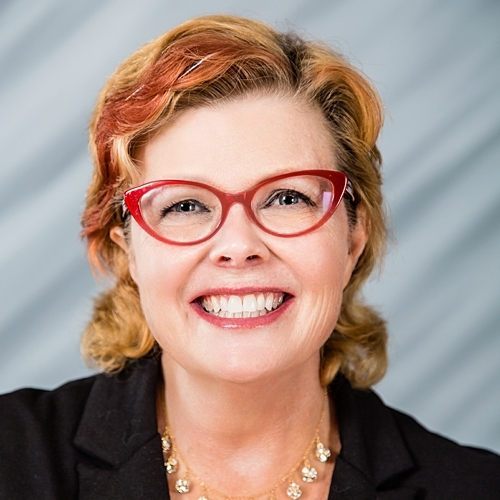 Kathleen Kendall-Tackett, PhD, IBCLC, FAPA, is a health psychologist and International Board Certified Lactation Consultant, and the Owner and Editor-in-Chief of Praeclarus Press, a small press specializing in women's health. 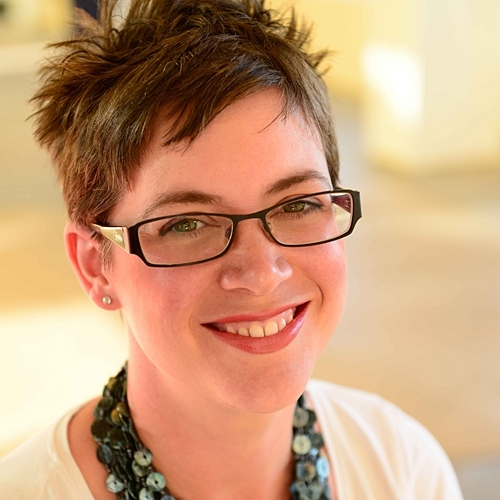 Dr. Kendall-Tackett is Editor-in-Chief of two peer-reviewed journals: Clinical Lactation and Psychological Trauma. She is Fellow of the American Psychological Association in Health and Trauma Psychology and Past President of the APA Division of Trauma Psychology. 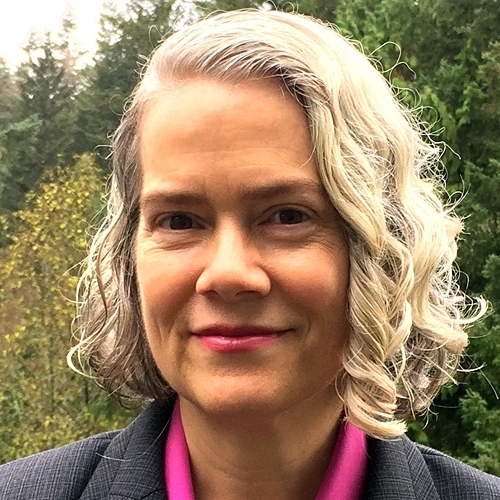 Dr. Kendall-Tackett specializes in women's-health research including breastfeeding, depression, trauma, and health psychology, and has won many awards for her work including the 2017 President’s Award for Outstanding Service to the Field of Trauma Psychology from the American Psychological Association’s Division of Trauma Psychology. Dr. Kendall-Tackett has authored more than 460 articles or chapters and is author or editor of 38 books. 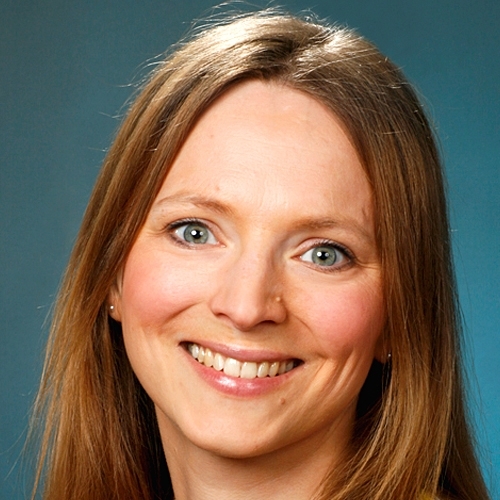 Amy Brown, PhD, Professor, is based in the Department of Public Health, Policy and Social Sciences at Swansea University in the UK. 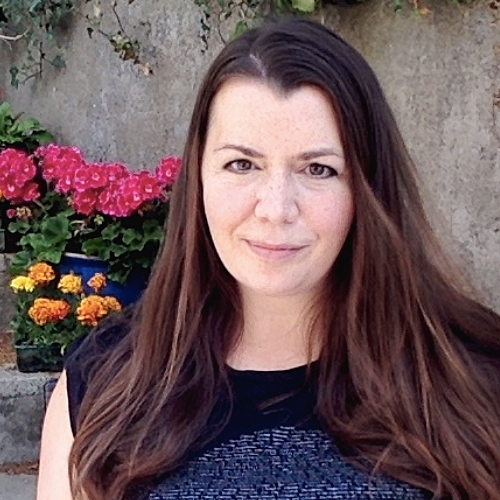 With a background in psychology, she has spent the last thirteen years exploring psychological, cultural and societal influences upon infant feeding decisions in the first year. Her research seeks to understand how we can shift our perception of how babies are fed away from an individual mothering issue to a wider public health problem – with societal level solutions. Dr Brown has published over 60 papers exploring the barriers women face in feeding their baby during the first year. She is a mother to three human children and three book babies: Breastfeeding Uncovered: Who really decides how we feed our babies, Why starting solids matters, and The Positive Breastfeeding Book: Everything you need to feed your baby with confidence. She is a regular blogger, aiming to change the way we think about breastfeeding, mothering and caring for our babies. 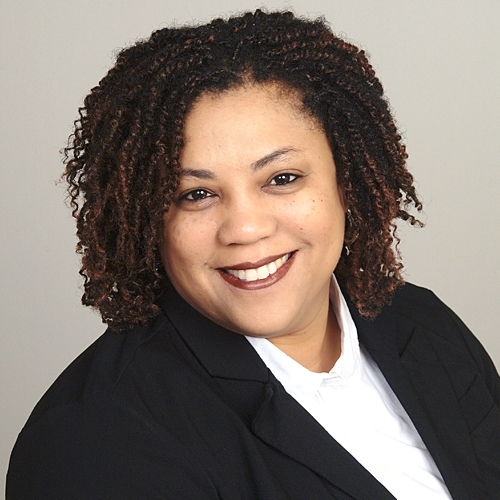 Nekisha Killings, MPH, IBCLC, LLLL, is an experienced marketer, writer, equity strategist, and international board certified lactation consultant. After spending years in consumer-packaged goods marketing and community partnership building, followed by a decade of public relations and ghostwriting, she found her life’s work in lactation support and maternal and child health equity through her personal experiences with birth and breastfeeding. Nekisha contributed the chapter on Cultural Humility in the latest Core Curriculum for Interdisciplinary Lactation Care. She acts as equity strategist for lactation-related organizations that seek to better reach underserved communities. Recently, she co-founded Nikki & Nikki: Lactation Career Consultants, an organization dedicated to equipping aspirants of color to sit the IBCLC exam. In addition to being spouse to an active duty United States Air Force member, Nekisha also homeschools three little future world changers and enjoys writing and research on the impact of historical trauma on families’ breastfeeding experiences today. We don’t often think about “marketing” breastfeeding/chestfeeding and human milk, but when it comes to public health messaging, that’s exactly what we’re doing. Marketing is defined as “the action or business of promoting and selling products or services, including market research and advertising”. Recent public health campaigns have been successful at increasing breastfeeding initiation rates, but the duration of exclusive breastfeeding remains low, certain groups that question the safety of exclusive breastfeeding are gaining traction, and lactation professionals continue to be seen as “pushing breastfeeding” and causing feelings of guilt of shame. Clearly it is time for a change. 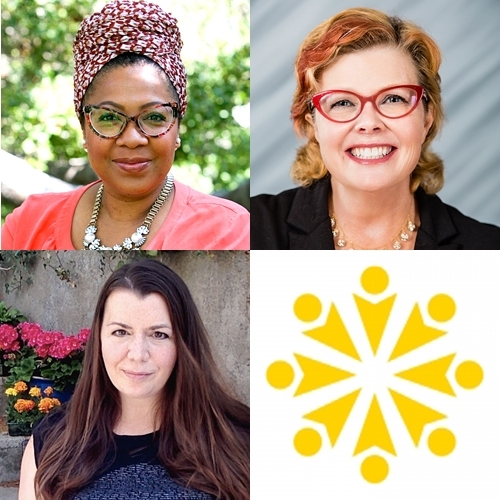 This panel of experts will look at the reasons why marketing of breastfeeding and human milk is important, the impact of recent marketing campaigns, and what we could be doing better. Sekeita Lewis-Johnson is a Registered Nurse and International Board-Certified Lactation Consultant (IBCLC). She earned her Bachelor of Science degree in Nursing from Michigan State University in 1997. Most of her career has been as a labor and delivery nurse, with almost 10 years of experience as a Lactation Consultant. She consults with clients in the hospital setting, as well, as outpatient settings. She is currently a Doctor of Nursing Practice candidate at Wayne State University. Passionate about breastfeeding and its health outcomes, Sekeita provides lactation services with an emphasis on exclusivity. Sekeita recently received “The People’s Choice Award” from the Michigan Council of Nurse Practitioners for her Poster Presentation titled: Implicit Bias of Health Care Providers and Breastfeeding Disparities Amongst African American Women. Additionally, she was awarded “IBCLC of the Decade” by Black Mothers’ Breastfeeding Association. She participated in a Community Innovations Project for the Massachusetts Institute of Technology (MIT). She is currently the President of Black Mothers’ Breastfeeding Association. Legalization of marijuana for medicinal and recreational purposes presents challenges for health care providers in maternal-child health. Inconsistent messaging regarding marijuana use and lactation management is creating alarm for patients and health care organizations alike. Oftentimes, policies and policing of marijuana use are filtered by biases. This webinar will explore current literature regarding marijuana use and breastfeeding, as well as, confusing and inconsistent messaging and policies regarding marijuana use while breastfeeding. Discussion will include recommendations for equitable care practices regarding this topic. 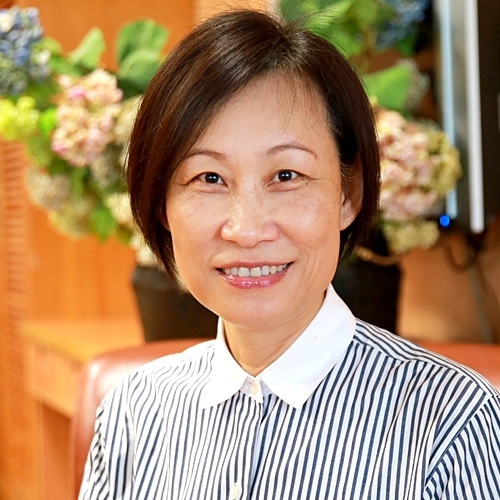 As the founders of both Taiwan Academy of Breastfeeding and Chinese Lactation Consultant Association, Shu-Fang Wang took an active role in initiating most of the crucial strategies in protecting, promoting and supporting breastfeeding in Taiwan, which includes implementing of BFHI-Taiwan modified version, starting the M2M support groups and peer counselors training program, organizing the first professional breastfeeding educator’s training, just to list a few. She holds a PhD in Women Health from Kaohsiung Medical University. In 2007, she became one of the first 6 IBCLCs in Taiwan. Since then, she has practiced as an IBCLC in Tzu Chi Hospital, Hualien, Taiwan, about 10 years. She also devoted great amount of time in lactation education. She is also the chief editors of three popular books, the Chinese version, “Breastfeeding an illustrated guide to diagnosis and treatment (2010)”; “Core Curriculum for Lactation Consultant Practice (3rd edition 2017); and “Comprehensive Lactation Consultant Exam Review (4th edition, 2017)”. In addition, one of the authors as well as the chief editor for the Chinese Textbook “Breastfeeding theory and practice (2012 & 2015 version)”. Breast is best. The World Health Organization recommends that exclusive breastfeeding for at least the first six months after birth. Breastfeeding 10 times a day and each lasts for 30 minutes for 180 days; that sum up to 54,000 minutes devoted for "healthy next generation". Wang (2008) propose the B theory of breastfeeding: Baby-Breast-Brain-BackUp axis, an interpretation and application of the lactation mechanism with a new perspective. Breastfeeding is involving physical, psychological and social aspects of life. How does the lactation consultant based on counseling skills, apply the Mindfulness-Based Stress Reduction (MBSR) to empower breastfeeding women, who can activate the positive brain feedback, prompt oxytocin reflexes, and bravely express individual needs. A breastfeeding friendly society therefore be fostered and the breastfeeding family could truly enjoy their breastfeeding goals & lives. Stephanie Carroll is an International Board Certified Lactation Consultant (IBCLC) who lives in southeast Ohio with her two daughters. She founded the Appalachian Breastfeeding Network in May of 2016. Now has grown to over 500 members across 15 states. Stephanie owns a private practice and works for a Breast Pump DME part-time. 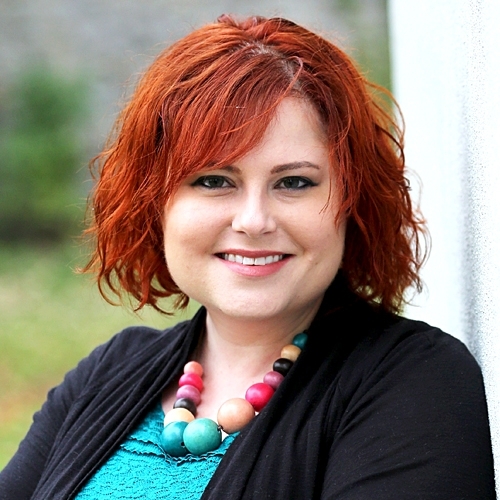 She also works as a speaker and marketing manager for Lactation Education Consultants. 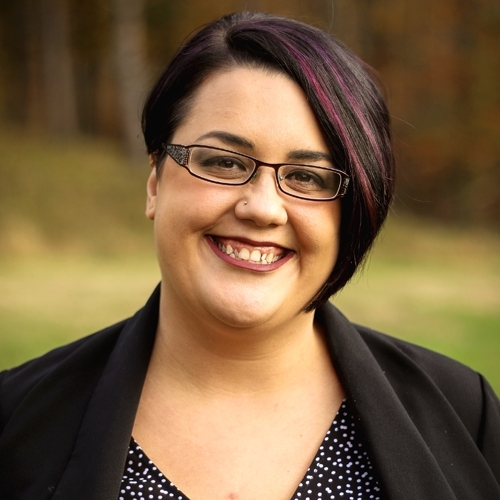 She continues to work towards transformation of breastfeeding culture, women's health equity, and increasing access to care in Appalachia, giving a voice to Appalachia, which continues to be underserved and overlooked. Abstract:Appalachia - the physical region along the Appalachian mountains, stretching from southern New York to northern Alabama, is often described as simply an area on a map of the United States. However, Appalachia is a separate entity and culture from the rest of the country in many ways. Breastfeeding trends and attitudes can be quite different in this area, and we notice a much lower rate of initiation and duration rates that coincide with these cultural attitudes. The issue of lower breastfeeding rates in Appalachia goes beyond poverty – as many women in the region are willing to travel out of the area to receive good care. Why isn’t access to care easier to obtain in these rural areas? Why are women getting most of their prenatal education from their family members – making much of the education outdated and incorrect? Why have these women lost trust in their healthcare providers that are local? Many healthcare providers do not understand Appalachian culture in order to serve them in the best way possible. This presentation will discuss: a. What these specific barriers are; b. How we, as health professionals, can approach these barriers; c. How to help to create a new culture trend; and d. How to empower Appalachian women to take hone of their healthcare – specifically their birth and breastfeeding journey.